Since leaving a Digital Agency and going out on my own, it has become apparent to me that many people here in New Zealand (or overseas) are very much in the dark as to whether to go with an agency or a self-employed freelancer for their website project. There are a number of factors that should be considered when choosing a website developer or web development agency, and this article attempts to outline some of the more important of them. If you have not worked with an online project before, deciding on what you can and should spend on design and development can be daunting. While I would love to give you an exact guideline as to what a website will cost, this article from Forbes sums it up in a nutshell – website costs vary dramatically from company to company and more importantly (or frustratingly) there are no industry standards for web design. Sad, but very true. What I can say is that an hourly rate for a designer/developer can range from $70 to $150 an hour here in New Zealand. A very simple WordPress or similar brochureware1 website may take between 5 and 10 working days to complete. So a rough range may be $2,800 – $12,000. It really depends on what the main functionality or goals of the website are. Developing a Brochureware website is far easier than developing an Ecommerce2 or Business-to-Business (B2B) website. Copywriting – do you require someone to write content for you? Photography – do you need photos of your staff, your office/location or your products? Search engine optimisation (SEO) – how vital is it that your website is found? Testing – how long do you require for the application to be thoroughly tested by all relevant parties? Data security – often overlooked by developers when costing an online project, how vital is it that web/database content is protected from malicious attack? This is not an exhaustive list by any means, but you can see that costing a web project can be simple or quite complex. The more prepared you are with your brief (see Project Scope below) the more accurate the quote will be for your project. Due to staff overhead, commissioning an agency will in most cases cost more than utilising a freelancer. An agency will employ a range of designer/developers of varying ability. It is important that you know who will be working on your project and what level of experience they have had developing projects of a similar nature. Ask the agency if they would be prepared to provide two quotes, one being for a Stage One version of the website – enough for you to launch and gain traction in your market (and importantly cashflow), and the other being a comprehensive version with all the “would be good to have(s)”. When Creative Digital were asked to quote on the Eat My Lunch project, we were able to offer a Stage One proposal. With the rapid success of the initiative, this quickly turned into a Stage Two project for us and the client. 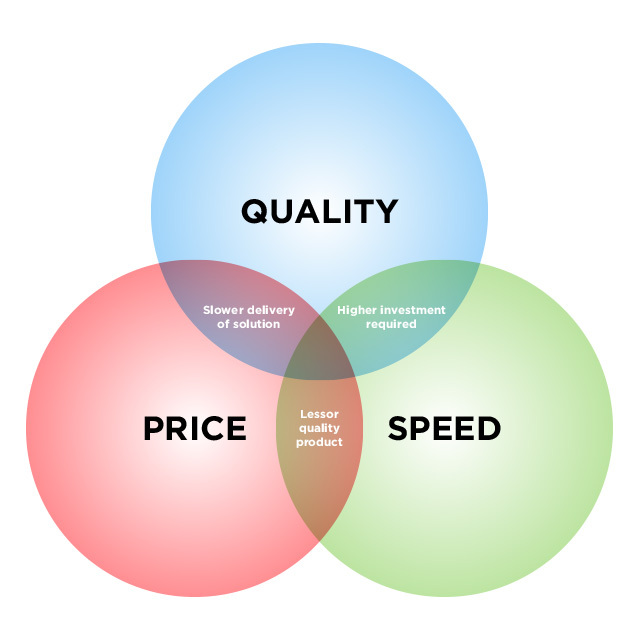 A Digital Agency should be able to develop larger more complex applications faster than a freelancer. A freelancer generally will have less resource to call on and may have other projects that he/she has to complete before yours. Your timeline may affect the overall development cost, so it is vital that you make this clear when getting quotes. In most cases, a freelancer should be able to develop a less complex application as fast as an agency. I know of many very experienced developers who are self-employed that will be able to supply professional web solutions that are of an equal or better quality than a Digital Agency. If your budget is tight, it pays to get quotes from both. I cannot stress this enough… the more prepared you are with content, the less time it will take a developer to complete your project. I cannot tell you how many “urgent” projects are held up because the client has not allowed enough time to organise and supply quality content. Depending on the contract you have signed, delays in development caused by the client may incur additional fees. Ensure that your developer has the time to supply a well-built and well-tested application. There is absolutely no point to launching a website where the user experience (UX) has not been considered or the application has not been thoroughly tested by multiple parties. Organise media/advertising AFTER you have seen completion of the development phase. There is nothing worse for a developer hearing that a website must launch at a particular time because advertising has been taken in a publication. Hold-ups do occur in the development phase – even for the most experienced of developers. Stress can lead to bad decision making by the developer and client, and a buggy website launch can be harmful to any business or brand. The following graphic has been used by designers/developers for a long time now. You can choose two but not all of the three project attributes. In order to get the clearest indication of costs from a developer, it is vital that you present a clear and defined outline/brief/scope of your idea. If there are websites that have similar functionality or goals, share them. Make it as easy as possible for whoever is creating the proposal to visualise your requirements. It is important to realise that where a project scope is complex, a freelancer who requires the use of contractors/third-parties, may, in fact turn out to be more expensive than an agency that has all resources under one roof. So providing a detailed scope can make it easier for a freelancer to indicate whether they can, in fact handle the scope and timeline of the project. Most freelancers will have a preferred agency that they can recommend if they cannot handle the project themselves. It is now a common requirement of clients that a Mobile App be developed alongside the website. Again, an agency may have the resource for both web and app development whereas a freelancer may need to outsource this part of the project. It is important that any planning phase should include consideration for the both the website and app eg. how should data be stored so that it can be accessed efficiently by both platforms. Any proposal must include a clear indication of fees associated with ongoing support and debugging of the website. It would be naive to think that a website will operate bug-free 100% of the time. Like any good software package (think Microsoft Word or Google Chrome), websites need additional development work at some stage of their life. So it is important that whoever you get to build your application is clear about ongoing support and what costs will be entailed. Ask about the process the developer/agency would be follow if a worse case scenario does happen. A website outage, or blacklisting of your domain/website due to Malware can prove to be incredibly expensive. Unfortunately, I have witnessed agencies that are more focussed on the next job than ensuring your project operates efficiently and bug-free. A freelancer may often be a better choice for a project as they may be able to afford to spend more time with your business and not be operating under the target meeting nature agencies often require of their sales managers and developers. Again, ask the agency about what the next steps will be after the project has launched. An item that is often overlooked by the client and can come back to bite them. You must ensure that the contract you sign when giving the go ahead for your website, includes full ownership of Intellectual Property and source code once full payment has been received. Owning the source code ensures that you can move your project to another developer/agency if needed. Owning the IP, ensures that the developer cannot on-sell your custom project code to another client for the same purpose. Even if an open source framework is used, in most cases, your developer will have coded custom functionality specific to your business requirements. I have dealt many times with clients that have been burnt by their previous developer. Loose contracts or no contracts at all, can cost the client dearly. Ensure you read any contract carefully and have it reviewed by a third-party where necessary. 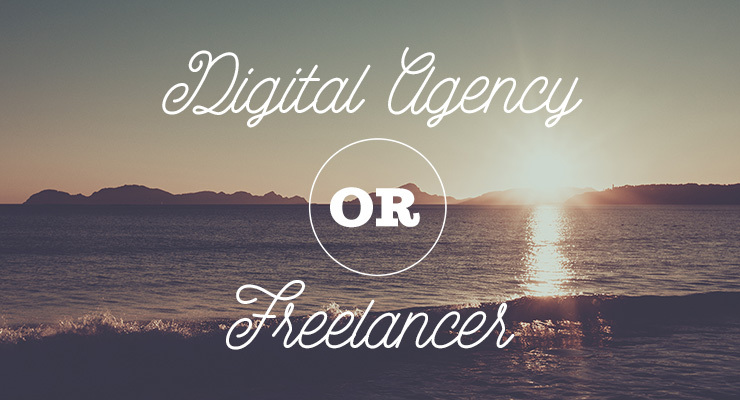 To finish, choose carefully when deciding on a digital agency or freelancer. It is an absolute certainty that you will receive a wide range of prices, so ask questions and arrive at any briefing very prepared. There is a wealth of talent in New Zealand at present, of this I am certain. Just don’t settle with the first supplier you talk to.